The Denarau Golf Classic was held last month on the 24th of June 2017 at the Denarau Golf & Racquet Club organized by the Denarau Island Association. 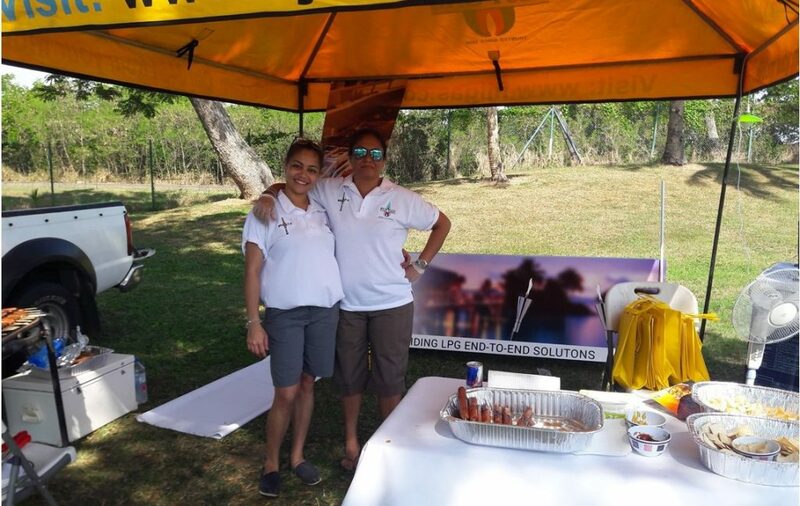 The day long golf tournament offered sponsors the opportunity to market their products and services at the sponsored green or golf hole. In true Fiji Gas awesomeness, the marketing team spruced up the green with signage and set up a tent where they cooked sausages sizzlers on a stick for the savvy golfers. The team prepared quizzes and games such as limbo for participants. A total of 14 teams of 4 took part at the tournament that day. Fiji Gas has supplied the Denarau Island Association (who governs Denarau Island operations) with LPG for over a decade. Our sponsorship cemented our long partnership with the Association and we look forward to partnering with them on more events.